The aim of our internship programme is to enhance the capacity of civic organisations, movements or networks in Eastern Europe and Central Asia and enable cooperation between organisations from different countries. 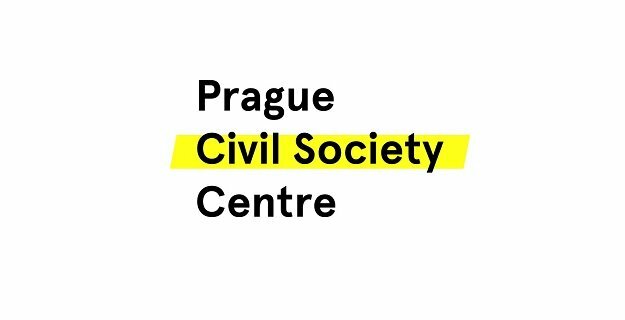 Internships do not take place at the Prague Civil Society Centre. Rather we cover the costs of a one to two month internship at a host organisation of the intern’s choice in Central and Eastern Europe, the Baltics, Balkans, and Central Asia. Host organisations receive a contribution for hosting an intern. The programme is flexible and gives interns an opportunity to tailor their internships to their specific needs and goals. The programme also gives an opportunity for host organisations to forge a deeper connection and cooperation with civil society from other countries whilst gaining from their experience and skills. The intern can use their time at the host organisation to gain new skills or knowledge, develop relations between civil organisations in different countries, conduct research, write a report or paper, and expand their networks of contacts. We want internships to be useful for the host organisation too and encourage applications that demonstrate how the host will benefit from the knowledge of the intern. Current applicants can choose from one of two slots: September – November 2019 or February – May 2020. The internship programme lasts from one to two months within these periods. Please note that former PCSC fellows and interns are not eligible to apply. If you’re one of our alumni please do share the call and encourage your colleagues to apply! If you’ve participated in any other PCSC programme or event, you are welcome to apply. Proven track record of the applicant: We welcome applications from civil society professionals and activists who already have significant experience in this area. Applicants should be affiliated with organisations, movements or networks in their home country that have a clear track-record of work. Proven track record of host organisation: Likewise, the host organisation should have a proven track record of expertise and know-how in the intern’s field of interest. Quality of proposed internship project: Applicants should have a well-thought idea of what they want to achieve through the internship. Specifically, we want to see: what applicants expect to gain from the expertise of the host organisation; how they can apply new knowledge after returning to their home countries; how they can contribute to the work of the host organisation. We prefer internship projects that are realistic and concrete, and can be accomplished in the time-frame of the internship. Presenting very ambitious and complex project ideas will not advance your chances to be selected. Compatibility with the Prague Civil Society Centre’s priority themes: The Centre gives slight prioritization to projects that align with its priority themes. Yet, we are open to proposals that do not correspond to these themes. We recommend such applications to stress how their project has specific relevance for their country and how the internship can contribute to the work of civil society in their country. If you have any questions, check the FAQ section or please write to: pcscinternship2019@gmail.com.